WENATCHEE, Wash. – Farmers markets in the state have more than doubled in the last decade, from nearly 80 to more than 160, according to a recent report by Washington State University. The report is based on a 2010 study that examined economic and community impacts of farmers markets that could help shape strategies and policies to sustain them. 1. Most are concentrated in the population centers of the Puget Sound region, with more than one-fourth in King County. 2. In 2010, 169 farmers markets were identified – in 32 of the state’s 39 counties. 3. Markets reported a total of $30 million in annual sales. (The actual total is likely higher given that one-third of markets in the study did not provide sales data). The top 10 markets accounted for more than half of sales. 4. The smallest market had annual sales of $1,000; the biggest, $5,000,000. 5. At least one-third take credit and debit cards, as do many individual market vendors. 6. Market managers want local food. A sizeable majority prefer that products come from nearby counties, cities and towns or a specific region. Thirteen percent prioritized farmer vendors who sold certified organic products. 7. Top motivations for starting markets: supporting farmers and improving access to fresh farm produce. 8. Nine out of 10 markets participate in federal nutrition assistance programs and four out of five make produce donations to local food banks, pantries and other emergency food providers. 9. Two ways market managers said that farmers markets help the environment: reducing transportation distances for people and food and encouraging environmentally sound farming practices. 10. Of the approximately 6,300 vendor booths at farmers markets in the state, most are filled by farmers (2,699) followed by artisans/crafters (2,003). 11. Four out of five markets in the study have immigrant or minority vendors, largely Latino and Hmong farmers. 12. Revenues for market operations range from $1,000 to $100,000. Vendor fees are the most common source of revenue; staffing and marketing are the largest expenses. 13. The average market season is 21 weeks. Relatively few markets operate year round, though the number of winter markets is growing. 14. 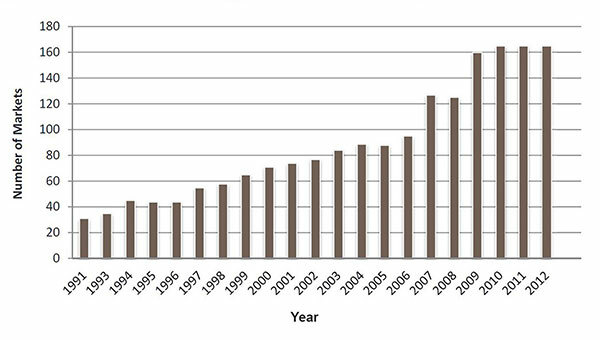 Most markets in the study (61 percent) were started between 2001 and 2009. 15. Pike Place Market, started in 1907, is the oldest farmers market in the state. Colleen Donovan, coauthor of the study, said farmers markets play important roles in building a sense of community and in launching farm businesses. 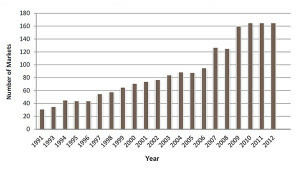 Annual growth in Washington farmers markets. 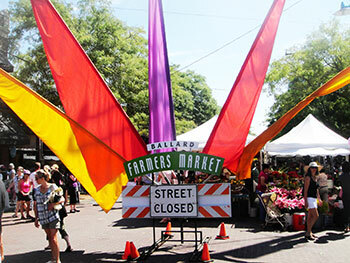 Source: Summary Report: Farmers Markets and the Experiences of Farmers Markets in Washington State. Ostrom and Donovan, 2013. 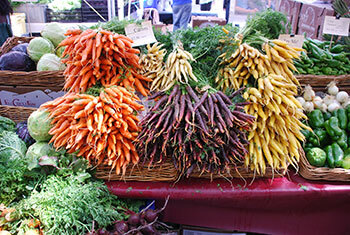 “Farmers markets are critical to small farm and food business development,” she said. “They offer a venue for getting immediate customer feedback on products, developing their product lines, improving quality, honing product presentation and marketing strategies, as well as building relationships with customers. She said the study brings to light the strong sense of mission that motivates market managers to take on the often underfunded work of supporting small farmers and increasing access to healthy foods for low-income shoppers. Market managers approached WSU because they needed scientifically sound data to help them sustain farmers markets. Marcy Ostrom, director of the WSU Small Farms Program, wanted to evaluate how well farmers markets support farmers. “We wanted to know what the role of these markets is in the long-term viability of small and medium sized farms, especially in light of claims we hear that they are a great way to support farms, that they are greener and that they allow farmers to capture a better retail dollar,” Ostrom said. Karen Kinney, executive director of the Washington State Farmers Market Association (WSFMA), said the study is important for city officials wanting to understand how farmers markets impact local economies and improve access to healthy foods. WSU will continue to assess farmers market trends through a long-term collaboration with the WSFMA. In addition to Ostrom and Donovan, the project team included José García‐Pabón, Jessica Goldberger and Vicki McCracken of WSU in partnership with the Washington State Farmers Market Action Team. Funding was provided by the U.S. Department of Agriculture National Institute of Food and Agriculture, Agricultural Food Research Initiative. The report by Ostrom and Donovan is available at: http://csanr.wsu.edu/wp-content/uploads/2013/11/WSU-FMMS-report-Nov-2013.pdf. Farmers market management toolkit: http://csanr.wsu.edu/washington-state-farmers-market-management-toolkit/. Directory and map of farmers markets in Washington: http://www.wafarmersmarkets.com/washingtonfarmersmarketdirectory.php.